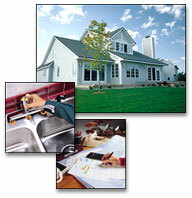 OK, so this isn't all about your house, as in everything you need to know to maintain, repair, and improve your house. But we have gathered together a bunch of useful and (we hope) interesting information that you can use to improve the comfort, functionality, and value of your home. And if that's not enough, we've got tons more how-to advice and videos HERE.